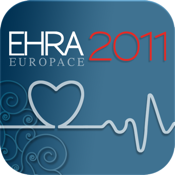 The mobile app for the EHRA EUROPACE 2011 Congress, 26 - 29 June 2011, Madrid - Spain. The highlight event in Europe focussing on cardiac arrhythmias and electrophysiology. This app is provided by the European Society of Cardiology. Browse the complete scientific programme by days, topics or types & tracks. Create your personnal programme. Locate rooms and exhibitor stands on the floor plan. Search the entire program. And much more. Before first use, you'll need to download the latest conference data. Afterwards, you can use the app offline.